Challenge: In early 2015, GCC Energy hired EIS to help solve two permitting process issues facing the King II Coal Mine in Southwest Colorado. GCC Energy was seeking to expand its King II Coal Mine site located in Hesperus, Colorado. The mine needed both a Class II permit for the “King II” site that required a vote of the La Plata County Commissioners and an exemption from the current Coal Lease Moratorium put in place by the U.S. Department of the Interior. The exemption and approval for the expansion required that the federal Bureau of Land Management (BLM) conduct a full NEPA process. Both issues had been ongoing for multiple years prior to EIS’s involvement. Process: After an initial review, EIS’s analysis concluded that a successful permitting process would require building a strong and aggressive grassroots coalition, obtaining support from local, state and federal elected officials, and mobilizing of supporters to secure positive final decisions. The permitting process faced three major challengers. First was the fact that La Plata County is one of the most politically progressive in the state, where voters and elected officials are less likely to be supportive of the coal industry, particularly when it comes to an expansion of operations. Second, was the recently announced moratorium on coal leases, which came about in the middle of the permitting process, and required an exemption to the newly implemented policy. Third was the potential opposition to the project by well-funded and organized national and regional environmental groups such as WildEarth Guardians, Earthworks and the San Juan Citizens Alliance. To build the grassroots coalition, EIS coordinated and organized a host of local and regional economic development stakeholders and project supporters to advocate for the permits at public meetings, and through letters of support sent to key decision makers. 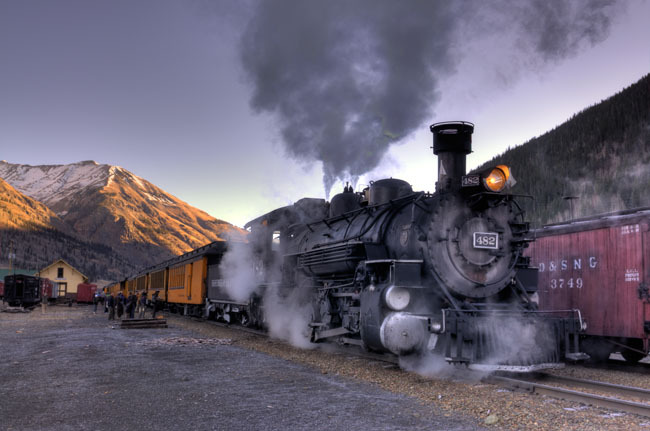 From county commissioners whose communities would be positively impacted by the economic development to supporters of the coal-fired Durango & Silverton Narrow Gauge Railroad, a major tourism draw, EIS built a broad and non-traditional coalition to back the expansion of the project. At each of the public meetings on the project, EIS successfully turned out nearly 100 supporters, which made a powerful statement in the sparsely populated southwest corner of the state. Numerous letters to the editor and comment letters, calls, and emails were sent to La Plata County Commissioners and BLM staff reviewing the project. The regular and consistent mobilization of the broadly built coalition was key to demonstrating widespread public support, challenging the conventional wisdom that progressive communities would be automatically opposed to the expansion of a coal mine. The project had major positive economic impacts on the region and would benefit widely popular local projects like the narrow gauge railroad, which faced closure if local coal production ceased. Communicating that to decision makers from a wide array of voices made a powerful statement about the need to approve the permits necessary for the expansion of the King II Coal Mine. Result: Despite the overwhelming challenges facing the client, EIS delivered a win on the project, with the Class II permit from La Plata County for the “King II” site issued in June 2016 and the exemption from the Coal Lease Moratorium granted for the lease expansion in August 2016.